pupils should find future learning easier if they have readily accessible subject schema to build upon (Deans for Impact, 2015; Bransford et al 2000). The idea behind spacing is that once a topic has been completed, it is returned to at some later stage in the course. In these ‘spacing lessons’, the teacher doesn’t ‘re-teach’ the topic. Instead, pupils focus on retrieval activities. If pupils can correctly retrieve previously learned information, then this information becomes more retrievable in the future. I designed ‘spacing grids’ for pupils to complete in the spacing lesson. Pupils would retrieve from memory in one colour and then add what is missing in another colour. 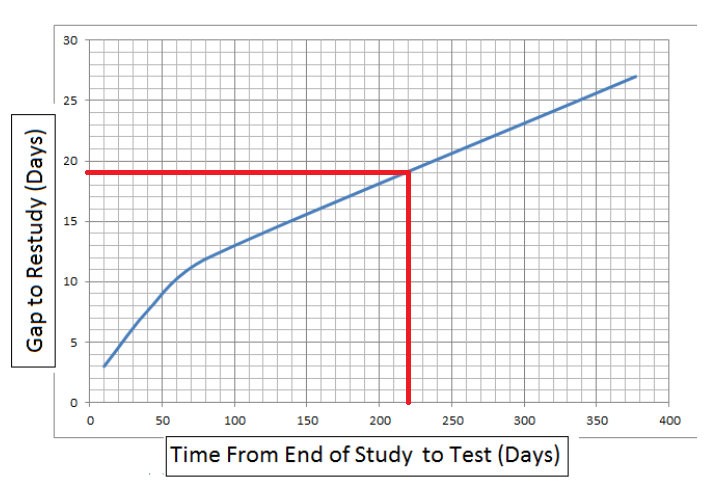 The big question I had was, ‘What is the optimum spacing gap between finishing the topic and giving pupils the spacing task?’ After reading a paper by Cepeda et al (2008), I produced a graph that would help me choose the optimum spacing gap between end of study and re-study of a topic based on the gap between our lessons and the GCSE exam. An optimal gap should be long enough that information is actively and successfully retrieved from memory, but not so long that nothing can be retrieved. I used the graph to find the optimum spacing gap for each of the seven topics taught during the year. I asked pupils to provide feedback on the experience, and the majority found the spacing lessons useful. Comments included the following. Through my own reflection I found the in-year revision prepared pupils for future learning. 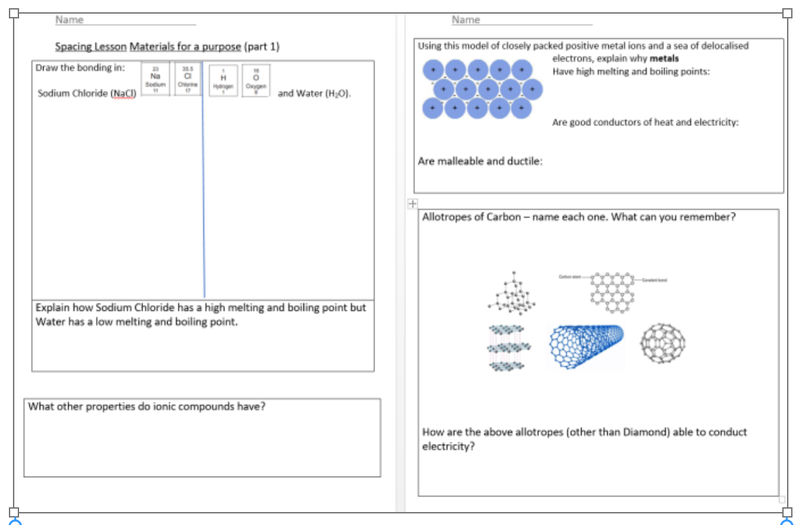 It was easier for pupils to learn topics like bonding when they had the knowledge of common ions and electron structure ‘at their fingertips’. Also, better management of revision filled pupils with confidence. They were aware they knew content from as far back as September, and this boosted their positive perception of the subject. In August the GCSE results for the class came through, and I was delighted with the attainment of the pupils. I am certain that implementing spacing and retrieval has played a large role in their exam success. We are expanding research into spacing and retrieval practice throughout our school. One key challenge is to ensure that there is ample time to revisit topics. Time needs to be afforded for spacing and retrieval activities, particularly for key subject concepts that are essential for more effective future learning. Unfortunately, however, the actual implementation of adding these activities in the current curriculum is easier said than done. For more detail on my work in this area see Benney (2016). Agarwal, P. K., Bain, P. M., & Chamberlain, R. W. (2012). The Value of Applied Research: Retrieval Practice Improves Classroom Learning and Recommendations from a Teacher, a Principal, and a Scientist. Educational Psychology Review, 24(3), pp.437–448. Bransford, J. D., Brown, A. L. & Cocking, R. R. (2000). How People Learn: Brain, Mind, Experience, and School. Washington, DC: National Academy Press. Cepeda, N. J., Pashler, H., Vul, E., Wixted, J. T. & Rohrer, D. (2006). Distributed Practice in Verbal Recall Tasks: A Review and Qualitative Synthesis. Psychological Bulletin, 132(3), 354–380. Cepeda, N. J., Vul, E., Rohrer, D., Wixted, J. T. & Pashler, H. (2008). Spacing effects in learning: A temporal ridgeline of optimal retention. Psychological Science, 19(11), 1095–1102. Küpper-Tetzel, C. E., Erdfelder, E. & Dickhäuser, O. (2014). The lag effect in secondary school classrooms: Enhancing students’ memory for vocabulary. Instructional Science, 42 (3), 373–388. Rawson, K. A., Dunlosky, J. & Sciartelli, S. M. (2013). 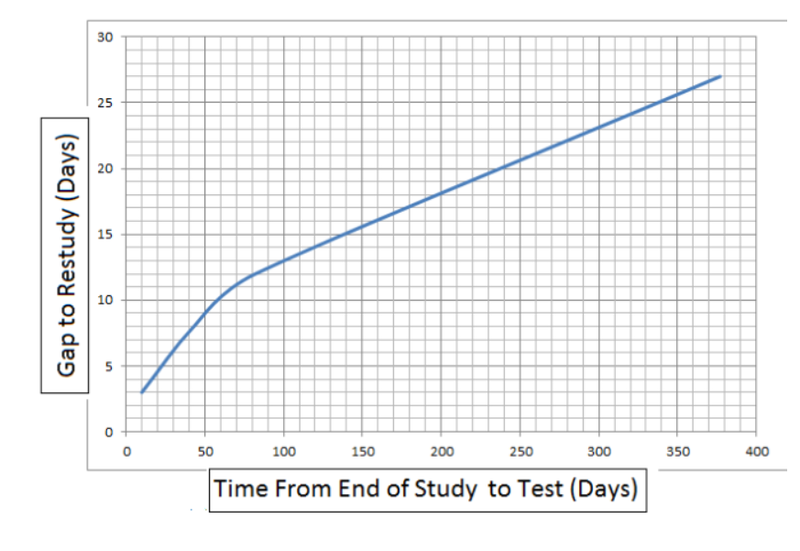 The power of successive relearning: Improving performance on course exams and long-term retention. Educational Psychology Review, 25(4), 523–548. Bjork, R. A. & Vanhuele, M. (1992) ‘Retrieval Inhibition and Related Adaptive Peculiarities of Human Memory’. In J. F. Sherry, Jr. & B Sternthal (eds) Advances in Consumer Research 19 (pp.155–160). Provo, UT: Association for Consumer Research. 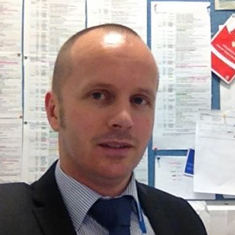 Damian Benney is a deputy headteacher at Penyrheol Comprehensive School in Swansea. He has been teaching for 20 years, and is responsible for curriculum and staffing. He has a keen interest in developing teaching and learning, and identifying and sharing best-practice across the school. In recent years his focus has been on integrating findings from educational research and cognitive science into the classrooms at Penyrheol. He uses Twitter for professional development and writes a blog on his experiences of teaching and leading.